LocServe’s translation process is quite simple: we provide the buffer between you, our customer, and a qualified linguist in your specialist field. 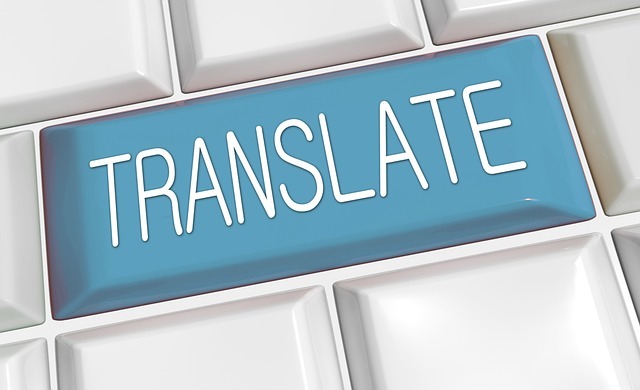 More than that, by the time the linguist starts work they will be provided with free access to advanced computer aided translation (CAT) technology, which enables them to focus wholly and completely on the quality of translation. LocServe does not work with translators who do not have verifiable experience and who have not been resident in the country of the target language for a significant period of time. It’s that simple. We prefer translators to have CAT tool experience and qualifications related to the topic or field of the content being translated. Our partnership with Smartcat gives LocServe preferential access to over 50,000 freelance linguistic professionals in over 100 countries. Every new project starts with the creation of a Translation Memory (TM) for storing translations so that you only pay once for a translated sentence. We setup a Glossary which will be populated with key terms which reflect the precise translation required for those terms in your industry, or to reflect the tone of your company. Both the TM and Glossary interact directly with the translation environment whilst the content is being translated. As the TM and glossary grow so do the cost savings and quality of translation. All results from the checks are fed back to the linguist to update or confirm the current translation is correct. We don’t expect our linguists to prepare the source documents in any way. That is, if we receive, for example, a XML, HTML or InDesign file for translation it is processed in such a way that only the textual content is viewable to the linguist. All source code or tags are marked in such was that they are completely hidden from view in the translation process, or where necessary, are viewable but protected, e.g. a bold HTML tag – which can be moved to make the corresponding word in the translation bold. However, if the bold tag was removed completely it would be highlighted during our checks which we can then verify with the linguist. Whether it’s a software file such as a resx or .properties, XML, or document format we perform numerous checks before delivering the final files. These checks depend on the format. If a file can be visually checked (such as HTML) then a full visual check is performed and if there are more automated checks available, such as DTD check for XML validity then we will also perform those. Our aim is to provide you with the format which you can start processing immediately. In some cases, in advance of a final delivery we may recommend including a sample delivery whereby partially translated files are returned to test compatibility with your systems. This can help us discover unforeseen issues, such as the support of your system with certain languages and encoding standards. You may decide to update your source content after translation is completed. The subsequent update to the target content is a standard process which we are well prepared for. Our use of advanced TM technology will ensure you will not be charged more than the cost of the new or changed content. You will not pay to have the same content translated twice. Should you wish to avail or Translation Services please complete the form below and will provide you a free quote or call you back to discuss your requirements further.